A lifelong Texan, Richard works at DH Marketing, a manufacturers representative in Lago Vista. His work in radio communications includes 30 years as in sales as a distributor and as a rep.
Scott also works at DH Marketing. Bob is the program director for the Texas Department of Public Safety’s RF Unit. He also serves as chairman of the Texas Statewide Interoperability Committee. Vesel works as a manufacturers representative with PMC Associates, Hazlet, New Jersey, where he covers the New York City metropolitan area. Mike is the communications coordinator for the St. Louis County Police, St. Louis, Missouri. He also is coordinator for the 1200-member the Radio Amateur Civil Emergency Service and Skywarn programs in the county. In addition, Mike has taught classes for those interested in obtaining amateur radio licenses from the FCC. 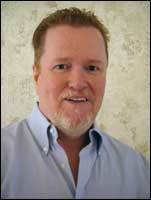 John is a sales application engineer with Dekolink Wireless, Montgomery, Texas. Joe is director of public safety for the Burlington County Department of Public Safety. Joe is president of Progress Marketing Group, a manufacturers representative in Englewood. Clyde works at DH Marketing, a manufacturers representative in Lago Vista. This entry was posted on Monday, April 9th, 2007 at 11:11 pm and is filed under RCA news. You can follow any responses to this entry through the RSS 2.0 feed. You can leave a response, or trackback from your own site.